Anyone who wants to start an online business will instantly think of Shopify which is considered to be one of the best e-commerce shopping cart attracting a massive number of sellers looking to build a website to sell their products. Now keep in mind that Shopify offers a shopping cart software and hosting for your website only. They don’t offer any products for you to sell. 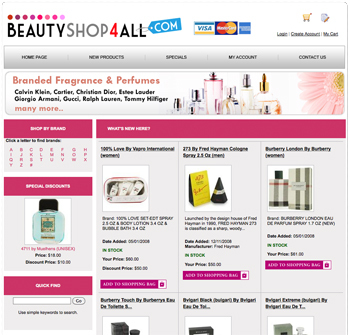 For this you will need to choose products from drop shippers and pay them as you get new orders. The main benefit of using drop shippers is less up front capital needed to start your business. Typically, retailers need to tie up big amounts of money buying inventory and warehousing the products. Through drop shipping, you do not need to buy an item unless you made the sale and paid by the client. Without huge up-front inventory investment, it is likely that you can begin a thriving dropping business with small amount of money. Easy to Start: Running an online business is easier if you do not need to deal with physical items. With drop shipping, you do not need to worry about paying for a storeroom, packing and delivering the orders, monitoring inventory due to accounting, handling inbound and return shipments, as well as constantly ordering items and handling stoke level. Low Overhead: The fact that you do not deal with buying inventory and managing a storeroom, the overhead costs are relatively low. As a matter of fact, a lot of successful drop shipping companies are operated from home with computer. Flexible Location: A drop shipping business could be run from anywhere with fast internet connection. Provided that you can discuss with your clients and suppliers, you could run and operate your business. Wide Choice of Products: The fact that you do not need to pre-buy the products you sell, you can provider a selection of products to potential clients. 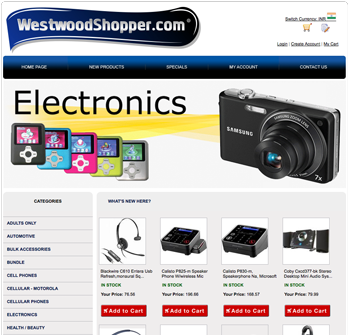 When suppliers stock a product, you can list it for sale on your site without extra cost. How to Dropship with my Shopify Store? If you are one of the many people out there asking the same questions ‘how to dropship from my Shopify store”?, then you come to the right place. I will teach you the best way to dropship from your store very easily. First you need to sign up for a free account at www.wholesale2b.com. This is for free and no credit card information required. When signing up, it is very much important to fill in every box provided like your name, address, city name, country and don’t forget your password. Your free wholesale2b account will let you see the dropship products as well as wholesale prices from many different drop shippers. Wholesale2b integrates products from many drop shippers into one single portal to make it easy for you to browse and choose which products you want to sell. In case you love what you see, activate a drop ship plan to begin selling. You can add/remove any of the dropship plans at anytime you want. Don’t forget to read the terms and conditions. To get started with Shopify, you will first need to have an account with Shopify.com. If you don’t already have a store then please go to www.shopify.com and signup for a free trial. Once our store is ready, you will need to link your new store to drop shippers and then watch your store get loaded with products automatically. You will have a 7 full days. And that’s it. All you need to do is to start building your list.